Hotlinking (also called file leeching, remote linking, direct linking, bandwidth stealing or bandwidth banditism) is a term used for describing a situation when a web page of one domain owner is directly linking to images (or other multimedia files) on the web pages of another domain owner, usually using an <IMG> tag. If your domains are hotlinked, you may face the problem of excessive bandwidth usage. First, log into your Plesk control panel. 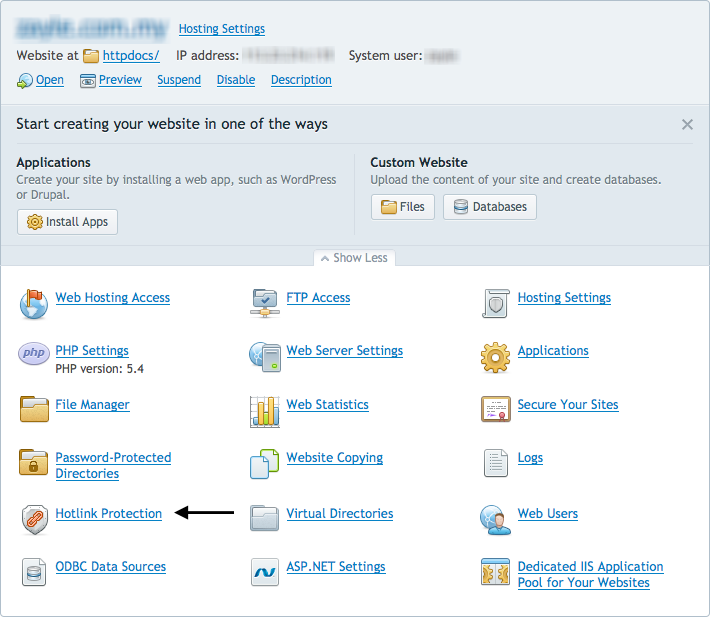 Click Switch On to enable the protection from hotlinking. 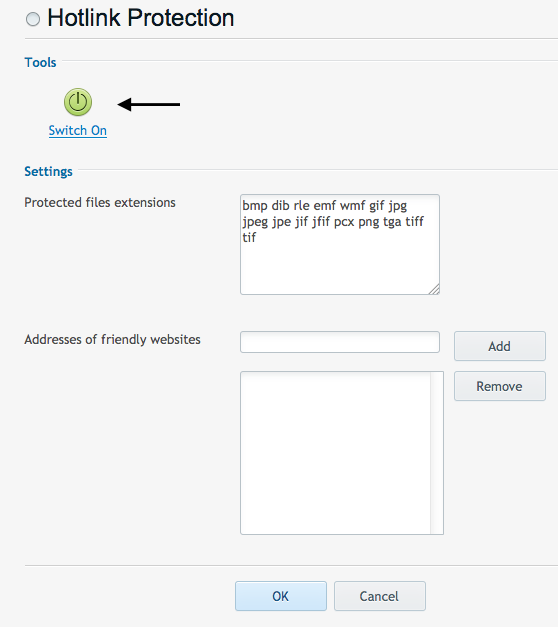 Specify the extensions of files that you want to protect from hotlinking (for example, jpg, bmp, and so on) in the Protected files extensions field. When listing several file extensions, separate them with white spaces. If you want to allow direct linking to your files from certain sites, type the website addresses into the Addresses of friendly websites field, and click Add.